Only 10 months after founding, the H2 Mobility Switzerland Association announces the next new member. With Galliker Transport & Logistics, another heavyweight of mobility takes to hydrogen as the driving energy of the future – a future that is quickly approaching. The first of 1’000 (!) Hyundai hydrogen-electric commercial vehicles should be seen on Swiss roads as early as the end of 2019. Switzerland is evolving in leaps and bounds into a pioneering country in hydrogen-electric mobility. The H2 Mobility Switzerland Association, which was founded in May last year, has already gained its eleventh member with Galliker Transport & Logistics, which is actively engaged in the envisaged development of the national hydrogen infrastructure. Galliker Transport & Logistics The members of the H2 Mobility Switzerland Association are qualified to develop the hydrogen station network in Switzerland in a timely manner and as members of the private sector. Galliker Transport & Logistics is perfectly suited to this goal. 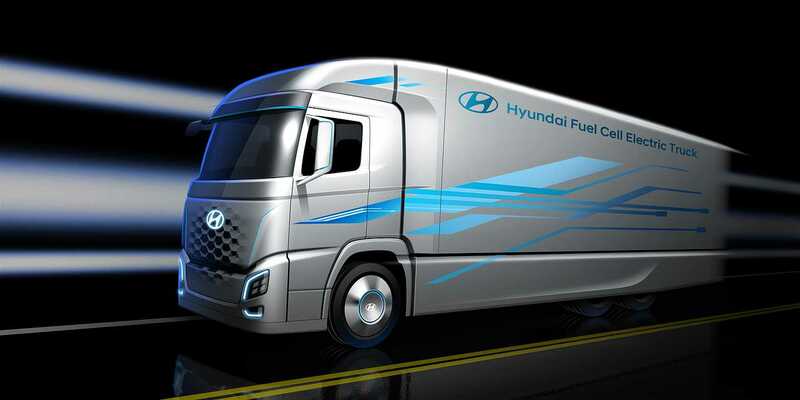 The introduction of 1’000 Hyundai hydrogen-electric commercial vehicles going ahead as planned In autumn 2018, Hyundai Motor Company and H2 Energy Ltd announced that they would be introducing 1’000 heavy duty trucks driven by hydrogen-electric power exclusively for the Swiss market. The memorandum of understanding (MOI) signed six months ago is now starting to become reality. If all goes to plan, the first commercial vehicles should be on Swiss roads within less than a year. More information about Galliker Transport & Logistics and the H2 Mobility Switzerland Association can be found at www.galliker.com and www.h2mobilitaet.ch.